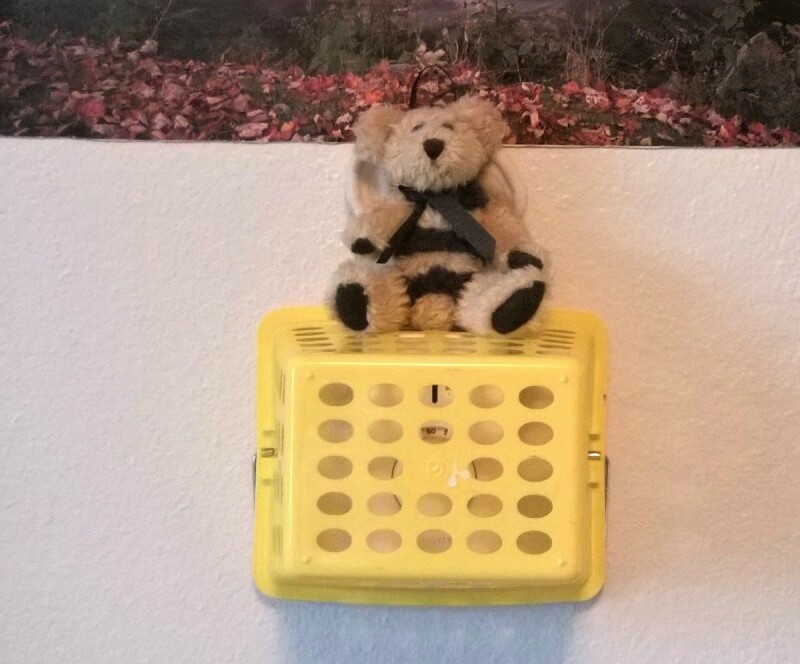 A small plastic basket can create a little shelf and cover a thermostat on your wall. 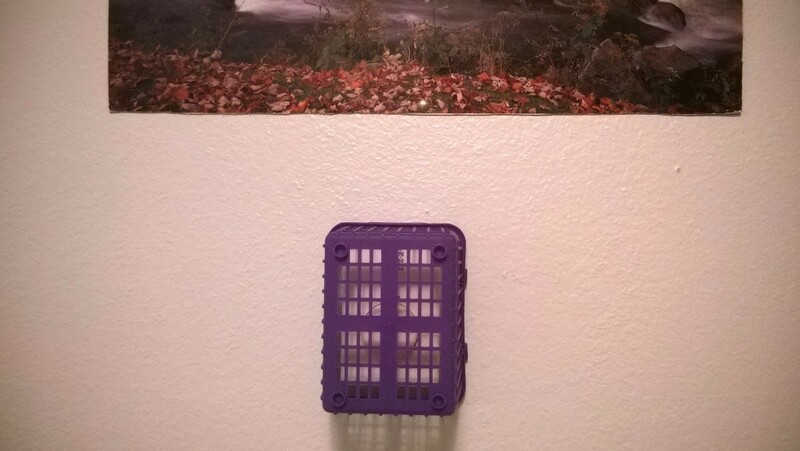 This is a guide about camouflaging a thermostat. I don't use my radiant heaters. So the thermostat just seems to sit there, being annoying. And truth be told, quite ugly. So, today I sat about disguising it. 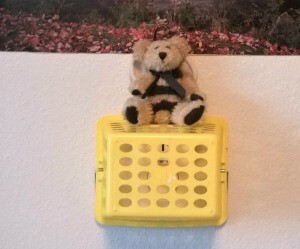 If you have a small basket and something cute to set on it (or not), you have won the day. I had two colors/sizes so I showed you both. N-JOY! NOTE: If you use yours, don't cover it completely. It reads the temperature in the room and has to continue to do so. I know mine isn't used, but if yours is, a basket like these keeps it nicer looking but also functional and SAFE!